I recently read a couple of interesting items regarding resumes. One was an interview between the American Management Association and Tony Beshara. Tony Beshara is the owner and president of Babich Associates, the oldest recruitment and job placement firm in Texas. He is the author of Unbeatable Resumes: America’s Top Recruiter Reveals What REALLY Gets You Hired . The other was a book by by Jeffrey G. Allen, J.D. CPC entitled, The Career Trap: Breaking Through the 10-Year Barrier to Get the Job You Really Want . While Jeffery’s book was written in the mid-90s and the interview happened just a few weeks ago, the advice from both was very similar. The following is a summation of the two. When putting a resume together, there are several mistakes that people often make. 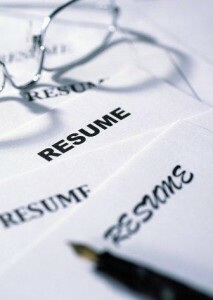 Probably the most common is regarding the purpose of a resume. Many people believe a resume is to help you get a job offer. In reality, the purpose of the resume is to convince decision-makers to give you an interview. Doing well at the interview is what gets you job offers. Jeffrey Allen believes your resume should answer five questions. First, how can you increase the organization’s productivity? Second, how can you improve profits and or services? Third, what results demonstrate your ability to perform? Fourth, what is your knowledge of a prospective employer’s business? And, fifth, how can you make the decision-maker look like a genius for selecting you? Tony mentions something similar, then adds a twist. He notes that you have to customize your résumé to exactly what the employer is looking for and demonstrate what you can do for them right now. He further notes that many individuals fail because they don’t seem to have a strategy in mind when putting their resume together. He believes a resume should be part of a larger strategy that also includes following up and asking for an interview, then knocking their socks off. The bottom line from both experts is to stop writing resumes you like and try to figure out how to write a resume that prospective employers will like. They encourage job hunters to research the employer, and if you can, research the decision-maker. Try to learn enough about them to be able to think like they do. Then, write your resume to specifically address their needs and wants. Finally, send it out, follow-up, and be prepared to “wow” them during the interview. This entry was posted in Improvement, Planning. Bookmark the permalink.